In the early 1800s, a storehouse for salt occupied the land that would later hold the Presidential Palace. One of Helsinki’s most-successful merchants, Johan Henrik Heidenstrauch, bought the lot and constructed his home there. Heidenstrauch House, designed by Pehr Granstedt, drew attention for being far grander than typical merchant homes of the time. Officials noticed and the home was purchased for Finland’s Governor-General in 1837. Tsar Nicholas I also saw the home’s potential and demanded the building become his official Helsinki residence. The palace was renovated between 1843 and 1845. During this time a new wing was added, containing a chapel, banquet hall, kitchen and ballroom. The Imperial family did not use the home until 1854, when the Grand Duke Konstantin visited for one month. The last time the Imperial family used the building was a one-day visit by Nicholas II in 1915. During World War I, the palace was used as a military hospital. When the Tsar/Grand Duke of Finland abdicated in 1917, the palace became the Senate’s property. They renamed the building, and used it as a headquarters until the end of the Finnish Civil War. The Former Imperial Palace was subsequently used by Germans and the White Finnish military staff, as Prince Frederick’s potential residence and as the Ministry for Foreign Affairs. 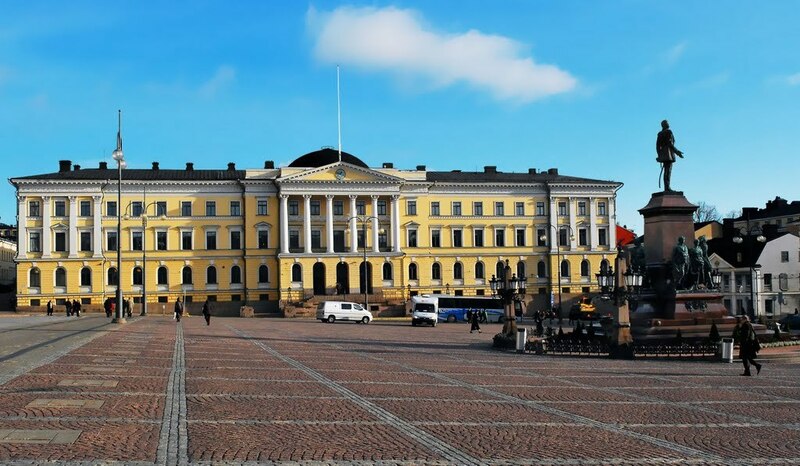 When Finland adopted a new Constitution in 1919, the building was chosen to become the President’s official residence. The Former Imperial Palace was repaired and its original furnishings returned. The Presidential Palace housed all but three of Finland’s presidents until 1993. Today, the President lives at Mäntyniemi, a seaside residence in western Helsinki.